Plumbing is a varied and skilled profession that includes many diverse areas of the job. In Melbourne, some plumbing tasks should be left to professional plumbers for reasons of safety and health. Plumbing jobs that entails working on gas channels of inner heating boilers must actually be left for professional heating engineers or gas fitters, as a mistake would cost a person’s life. There are lots of DIY plumbing maintenance that you can perform yourself without exposing yourself in danger. Watching out your plumbing system may appear like a huge task, maybe even anything that must be left to a professional plumber Melbourne. And whilst this is actually true for a number of projects such as repairing breaks, leaks, cracks, power failure and frozen pipes, there are simple methods that you as the home owner may assist to make sure that your plumbing mechanism runs smoothly. 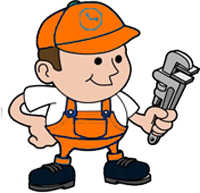 Offering simple repair for your plumbing mechanism will ensure that it is properly maintained, and would hopefully assist to minimize the amount of visits required from an expert plumber to handle larger problems. Bath traps, basin traps and kitchen sinks are all linked to the waste-water pipe by use of a threaded joint; when the joint leaks it may cause damages to units, floors or anything below the joint. The most excellent method to remedy this kind of leak is removing the connecting nuts and ensuring that the rubber washers are present and in perfect conditions. The next measure is making sure that the pipes are pushed completely into the fittings on the traps. A perfect idea is binding the threaded parts of the traps with thread tapes or PTFE to ensure good seals. Leaks for mechanical joints or compression joints may also be repaired in a similar manner. Compression joints are usually maintenance free although if they are interrupted the joint may start leaking. If you get one of such joints leaking the most excellent thing to perform is isolating the water and draining the pipe work completely. This may be carried out in most instances by unlocking the taps. Carefully loosen the joint using a spanner; it is an excellent idea to have some kind of towel or container under the joint so that it can capture any residual moisture that might be left inside the pipe work. Fully undo the nut and then join the joint treads with PTFE tape, retighten the nut to complete the repair.